Daniel grew up in Queen Anne's County and graduated from Kent Island High School in 2004. He worked at the local library throughout his high school career because he enjoyed reading and working with the public. When not in school or checking in books, he spent as much time as he could sailing and golfing. He graduated from Roanoke College in Salem, VA in 2008 with a major in Business Administration and minor in Political Science. While working on his undergrad, Daniel worked in the campus mailroom and was a resident advisor. This allowed him to get to know students and staff while helping to shape the campus community. He was a founding father of the XI chapter of Pi Kappa Phi Fraternity. Even though the fraternity is classified as a social group, it operates a philanthropic group called Push for America, which supports people with disabilities. Daniel spent time collecting money for the charity. He also volunteered to make public and private spaces accessible for those with physical disabilities. Daniels's professional career was influenced by his strong desire to give back to the community and help those in need. After returning to Maryland, Daniel worked for a large bank. He found the job to be thankless. He didn't have the opportunity to help individuals and hated the corporate structure and limitations that came with a big business organization. He came to Miller & Zois in the beginning of 2010 as a legal assistant. He saw and appreciated the personal touch the firm offered its clients and he saw an opportunity to help people. For many years, Daniel's primary role was to communicate with clients. As he communicated with clients under medical care or treatment, he fielded and answered client's questions and concerns. As time progressed, he took on more responsibilities at the firm, which included conducting initial intakes, processing PIP, collecting medical records and bills, helping with demands, lending litigation support, and whatever else he could get his hands on. Daniel was promoted to office manager in 2017. Even with his newly assigned duties, he continues to maintain his availability to the clients and their needs. He is now able to spend more time assisting Miller & Zois so that it runs to run smoothly and efficiently so the lawyers can concentrate on what they do best: getting our cases ready for trial and taking them to a jury. Daniel resides in Baltimore City with his dog, Rocket. Rocket is a Brussel Griffon that was saved by an animal rescue group. When not hanging out with Rocket, Daniel enjoys eating and reading. 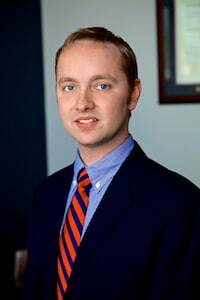 He is a member of the Association of Legal Administrators (ALA) and the local Maryland ALA chapter.